great for windows, trailers, walls and much more. These can be placed on any Flat or semi sooth surface. Simple peal and stick install. Cabinets and Golf Cart sides! and rubber Guard Side Graphics ! instructions! 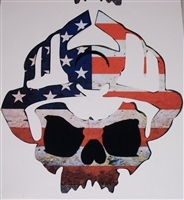 American Flag Solder of War Mural Size 15" X 21" great for walls, Motor homes, tailgates and much more. 24X40 American Flag Eagle #1 Graphic Decal great for windows, tailgates, walls, RV, Motor homes and much more. 36X60 American Flag Eagle #2 Graphic Decal great for windows, tailgates, walls, RV, Motor homes and much more. 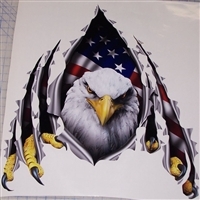 48X80 American Flag Eagle #1 Graphic Decal great for windows, tailgates, walls, RV, Motor homes and much more. as 54" Tall X 120" Long ! Just email us for info on any size you need 1 PAIR (2 One for each side) American Flag FULL COLOR Side Graphics ! Super fast shipping! We ship 6 days a week! 1 PAIR (2 One for each side) American Flag FULL COLOR Side Graphics !